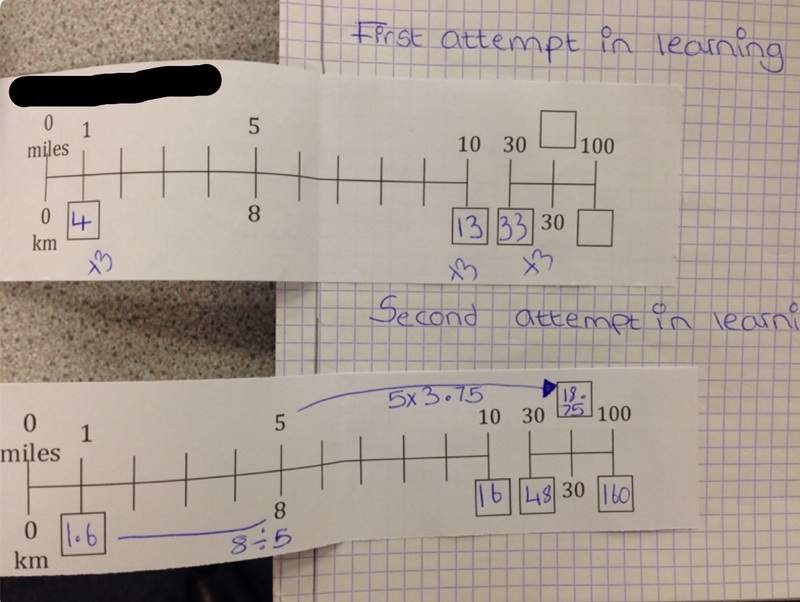 Having read the blog post from Meolscop High School: Shuffling Sums, about First Attempt In Learning and Second Attempt In Learning, and then meeting the lovely @missfilson at mathsconf15 and hearing more about her department’s work on growth mindset, I was inspired to give it a go with students at my school. 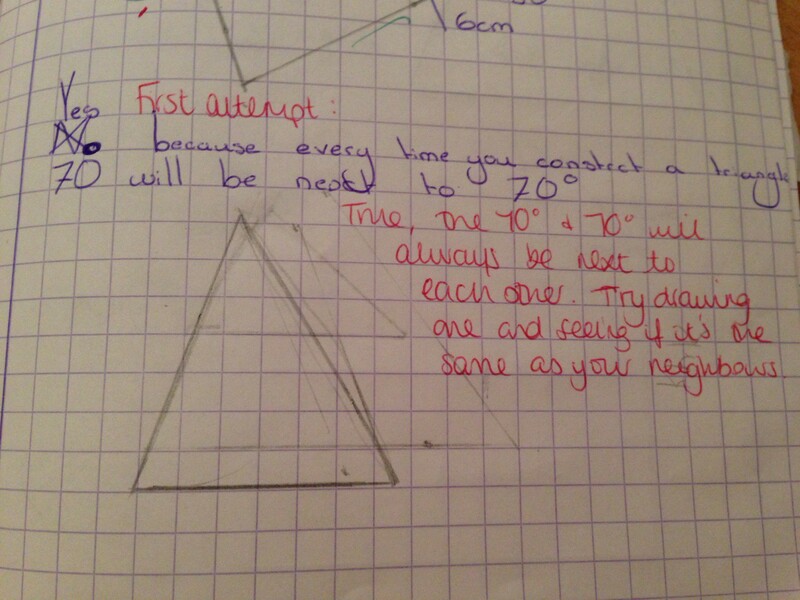 The first introduction was with a year 7 group who had been constructing triangles using ASA. 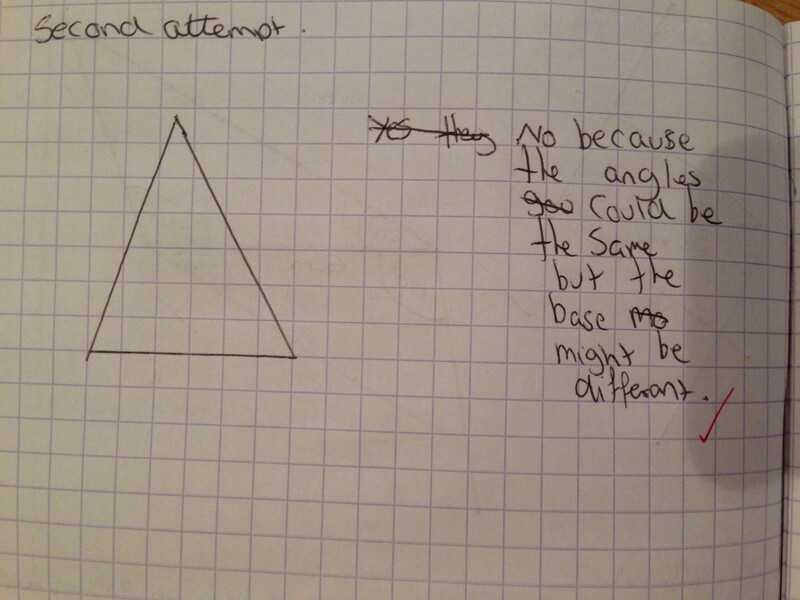 I gave them the following problem asking whether students would construct identical triangles if they were gien only angles. 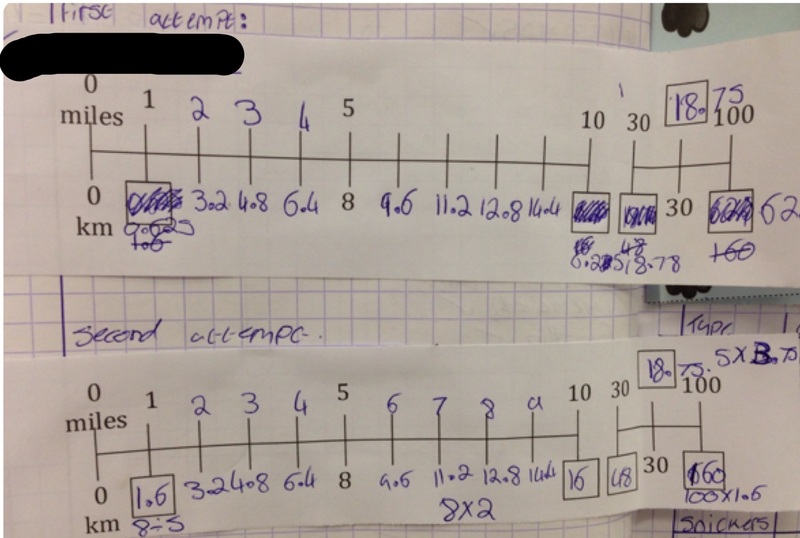 Some students were thinking about it straight away and were happy to write down their opinions, but there was a significant amount of students who were reluctant to write anything down because they didn’t know the right answer. 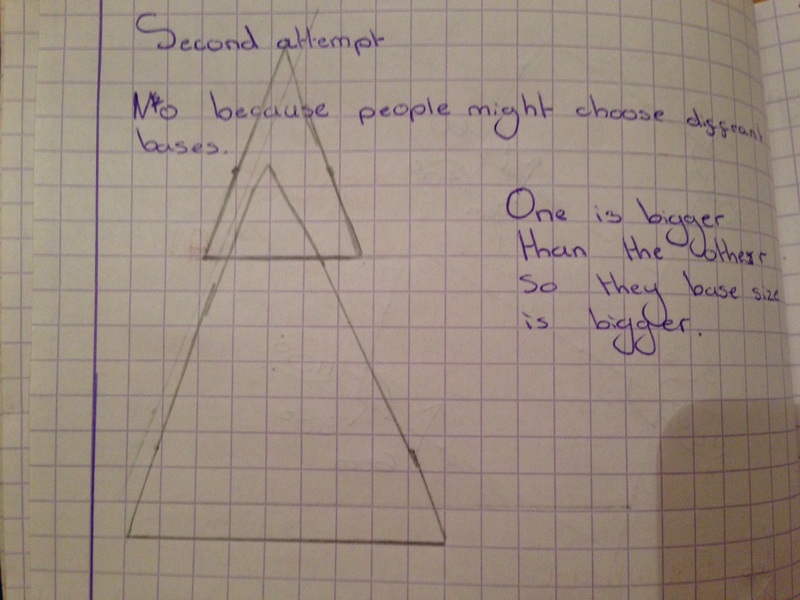 It was important to spend time explaining to the students that I was interested in their thoughts and not whether ther answer was right or wrong. 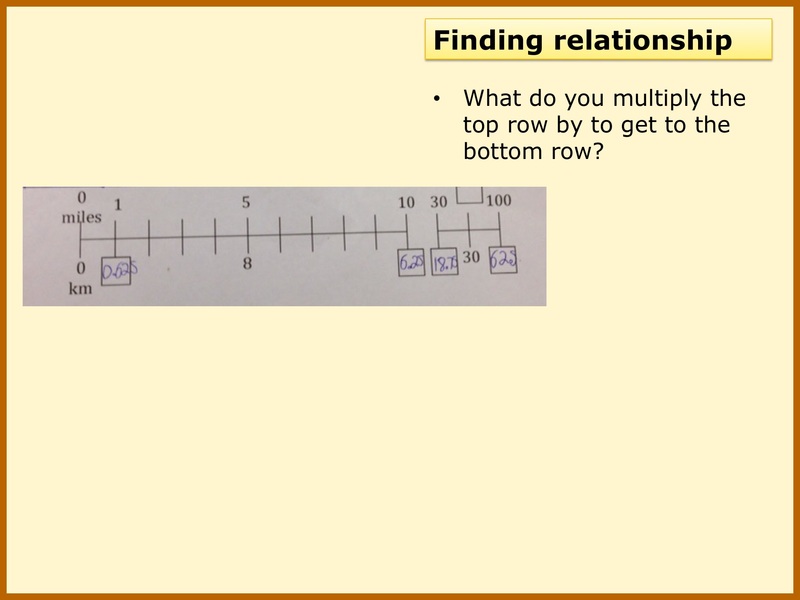 At this point I also said that they may want to write a sentence or try constructions to help them come to an answer. For this first attempt, I wrote individual hints in their books to give the students support towards their second attempt. 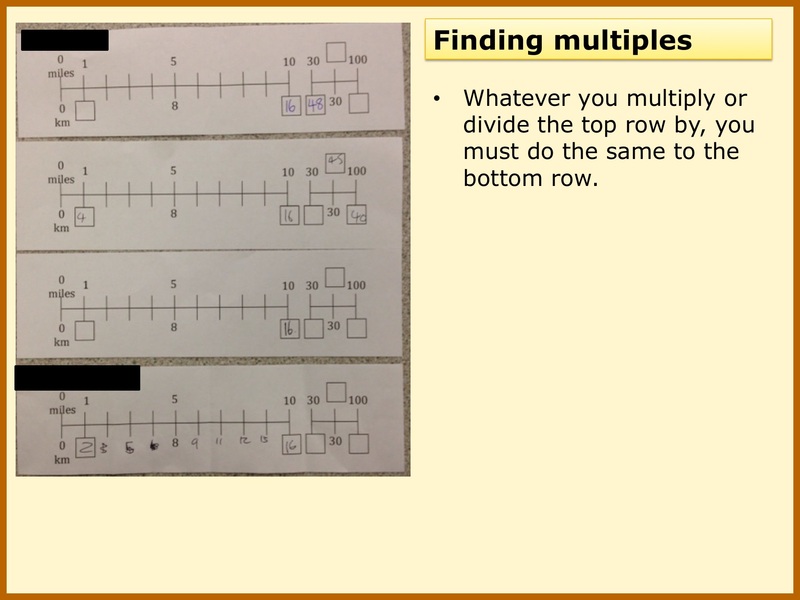 I also wanted to help students feel ok with not getting the right answer the first time, and to share with each other their “FAILs” and hints. 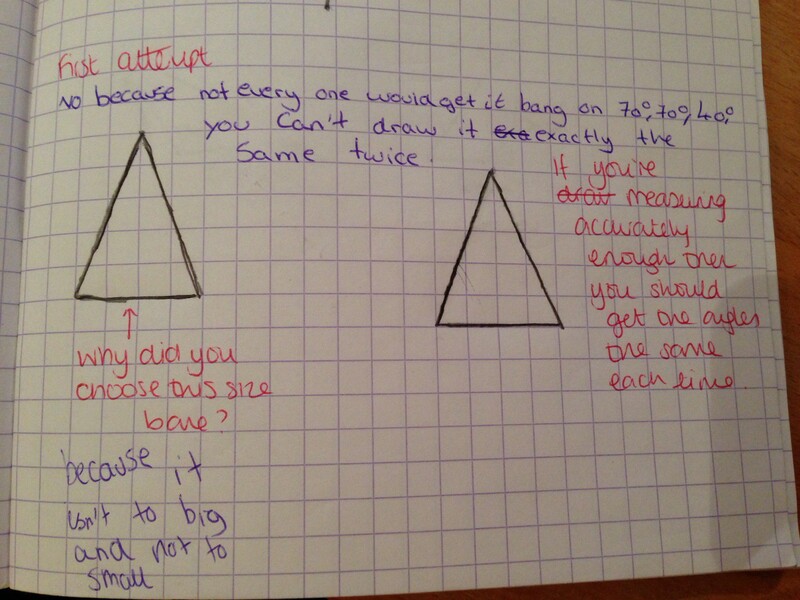 I also tried this with a year 9 group working through ratio and proportion. 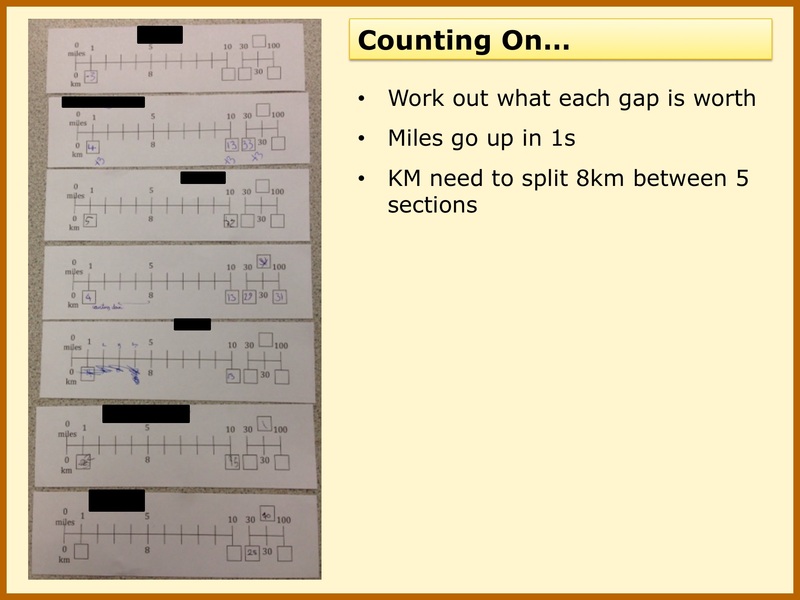 Students were gven the miles/km conversion lines and asked to complete any missing values they could. 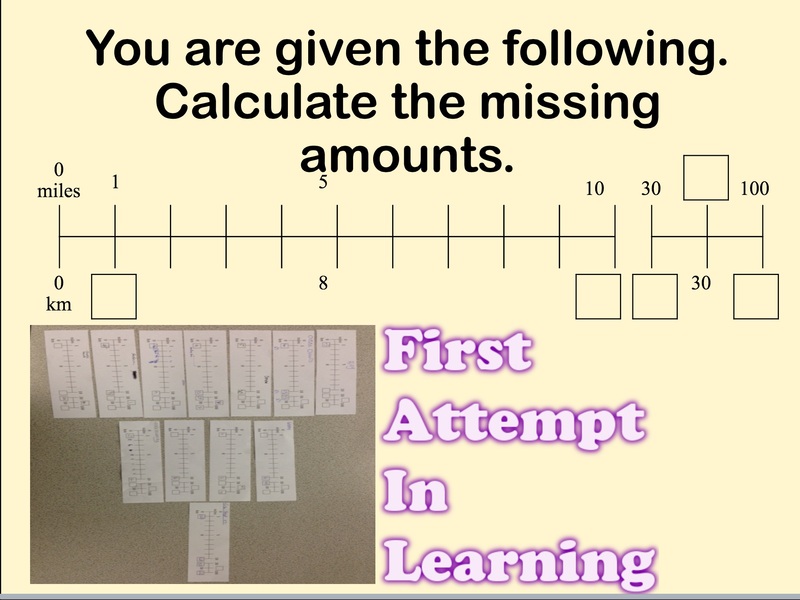 Again, students found it difficult to attempt anything to begin with as they wanted to know the right way to calculate the amounts, but after some encouragement, most students made their first attempt. 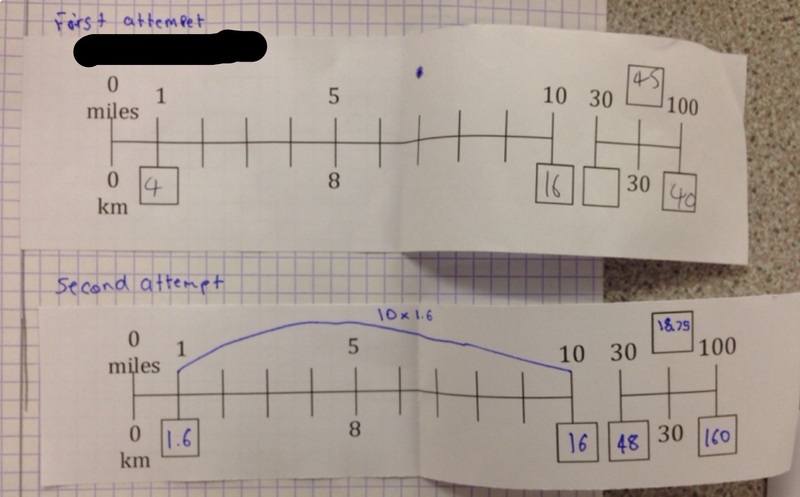 From this work, it is evident to me that students find it difficult to grasp the mindset of attempting something without knowing if they are “doing it right”. 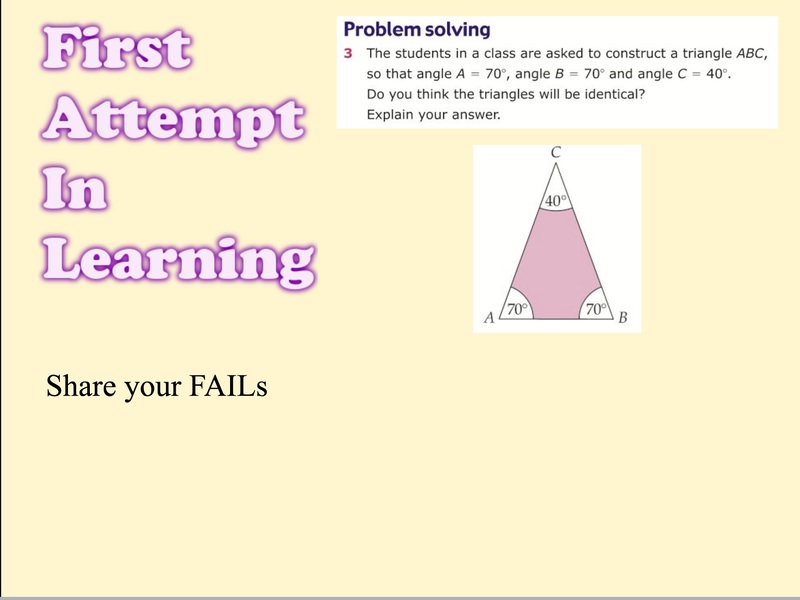 This won’t change overnight, but the failing and sailing is another step towards developing growth mindset within my maths classroom.